Director: Sarah Polley // Distributor: Artificial Eye // Release Date: June 28th // Starring: Michael Polley, Sarah Polley, Pixie Bigelow, Joanna Polley, John Buchan, Geoffrey Bowes and Susy Buchan. 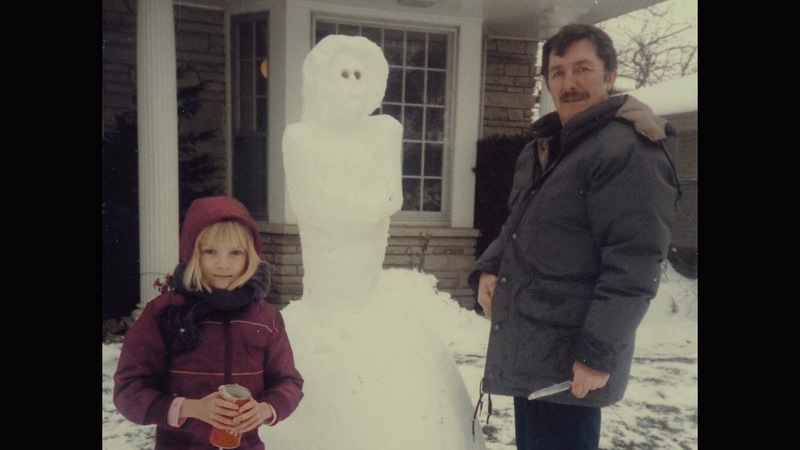 The multitalented Sarah Polley seeks answers to some very personal questions in this touching documentary. Through a series of jovial interviews, Polley explores the art of storytelling and the impact one particular tale has had on her own life. Stories We Tell could so easily have been a trifling vanity project. That it isn’t stands not only as a testament to Polley’s talent, but also her inherent likability and aversion to vanity. Behind the mixing desk at a recording studio, Polley coaches her father Michael as he reads out his own account of the many questions left behind in the wake of his wife’s death. She sits there exposed; no Hollywood lighting, no flaw-devouring make-up. The same could be said of her family, who make up the bulk of her interviewees. Few of them are formally introduced and minimal background information is given. Characters instead develop as the film progresses, granting the documentary a swift pace that takes you straight to the heart of their family dynamic. Mysterious matriarch Diane is as fondly remembered for her ability to keep a secret as she is for the vivacious nature that first ensnared Michael all those years ago. Pivotal moments of their family life are recreated in stylish, Super 8-style vignettes, although the reality of their mother’s actions is a few shades darker than these diversions would suggest. But while the widely endorsed ‘Chinese whispers’ angle never truly convinces – the narrative is mostly built around one significant lie, rather than a variety of minor misinterpretations – Stories We Tell finds real pathos as a story of love and forgiveness. Michael and his family hold no bitterness, exhibiting an air of maturity and understanding that is arguably the film’s trump card, and Polley’s $100,000 meal ticket. While Polley was perhaps aiming to make a more general comment on the medium of storytelling, what she has achieved here is just as impressive. After all, in the age of Twitter and Facebook, making the personal public is no hard task. Making it as graceful and enlightening as this, however, takes some serious skill.